In State v. Morton, the Court of Appeals recently held that the officer had performed an “Illegal Search and Seizure” of the Defendant which led to his arrest and conviction. Generally, under your U.S. Constitutional Rights, you have a right to be free from unreasonable searches and seizures absent special circumstances. A special exception would be where the officer has a reasonable belief that the individual is armed and dangerous (i.e. sees a handle of a pistol sticking out of waist band of pants). The detectives in the investigation requested to speak with the Defendant regarding a drive-by-shooting and drug dealing. According to the officers, the police department received a “tip” but there was no record of who provided the tip or whether they had provided reliable information in the past. This particular Defendant was known by the Detectives as he had voluntarily spoken with these detectives on several other occasions regarding unrelated matters in the past, just as he did in this case. However, on this day, while speaking with the Defendant, the Detectives proceeded to “frisk” him and found some incriminating evidence against him which was used to prosecute him. Since the officers knew the Defendant, had spoken with him on previous occasions, and had no reason to believe that he was a threat to them, the Court held that any evidence acquired off his person was excluded from trial. It’s important to know and understand your rights. 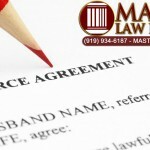 If you feel that something isn’t quite right, or there’s even a small doubt about any legal issue that you have in Johnston or Wake County North Carolina, contact the Mast Law Firm. With Smithfield legal offices and law offices in Garner NC, we serve the Wake, Johnston, Harnett and Wayne areas regularly including communities including Selma NC, Princeton NC, Four Oaks, Benson, Garner, Kenly, Clayton NC and Raleigh. At Mast, we believe in making sure you know YOUR rights. Call us today for more legal information or to schedule an appointment with one of our criminal law specialists.